You could literally replace Google with Indeed in that paragraph and place it in an article 10 years ago. The comparisons are indeed obvious for anyone who was around the industry back then and paying attention. It also reminded me of the day Craigslist blocked all the vertical job search engines. It was around 2006. In addition to Indeed, Craigslist blocked SimplyHired, Jobster, and WorkZoo among others. To this day, Craigslist still blocks Indeed from indexing its job content, so it’s safe to say, at least for Craigslist, it’s a sound strategy. I understand that Indeed wouldn’t want to play nicely with Google for Jobs and add their original job content into the index, like CareerBuilder, LinkedIn and others have done. But saying an original job posting on Indeed isn’t indexed by Google at all was news to me. I checked it out, and sure enough, jobs posted on Indeed directly do not show up in Google search results. Some snippets of a posting may show up as part of a wider geographic or industry search, but exact URLs do not. You can also put in exact phrase searches into Google for job content on Indeed and get nothing back. It’s also safe to say that jobs posted into Indeed’s new Career Pages won’t show-up on Google. 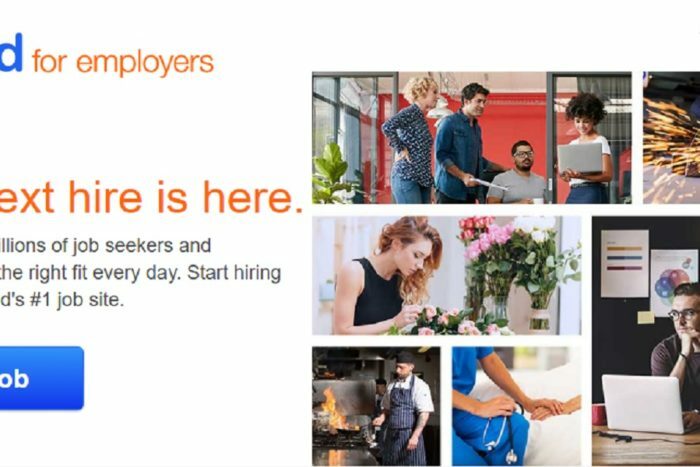 D’Arcy said there are “some employers who only post on Indeed,” which should make those jobs only available on Indeed’s network as well. In short, it looks like Indeed is taking a page out of Craigslist’s strategy, cutting off Google from its content and making it only available on its platform. Only time will tell if it helps secure Indeed’s status as the most-trafficked job search site in the world. It’s likely a strategy that will work in the near term. Millions of employers and job boards themselves post jobs to Indeed, which gives it more job listings than any site in the world. Also, according to a recent Madgex survey, the typical jobseeker visits eight different sites in their quest to find a job. Knowing that, Indeed will at the very least solidify itself as one of the sites you need to visit if you’re looking for a job. Long term, however, the strategy has the potential to backfire. Indeed salespeople are no doubt going to be asked, “Do my jobs get into Google’s job search results?” They’ll have to answer no, and that’s likely going to translate into lost business.